Preventative maintenance can often come off as boring, usually getting put off in favor of more pressing issues. While not the most exciting part of home ownership, regular maintenance of your air conditioner can have a pretty significant impact on your quality of life, as well as your pocketbook. It’s important to stay on top of things to avoid potential disaster down the line. Preventative maintenance, on a yearly basis, ensures your AC system is operating properly. This increases its ability to use energy much more efficiently. Recommended maintenance includes cleaning the cooling coils, blades, and other components. When cooling coils are dusty or dirty, they have to work much harder to generate cool air, putting undue strain on the system and increasing the energy being used. With clean cooling coils, the system needs far less energy to produce cold air, keeping your energy bills low, along with the temperature in your home. 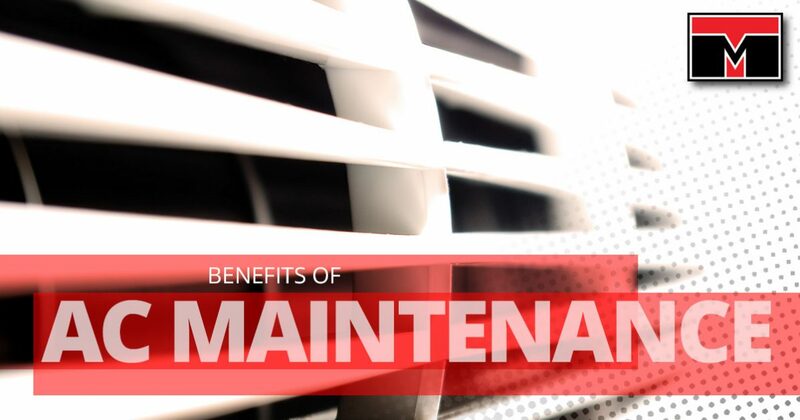 Regular maintenance helps your system run smoothly and reduces wear and tear, which prevents breakdowns of integral parts of the air conditioner unit. Many HVAC professionals consistently say that one of the biggest causes of HVAC systems failing is a lack of consistent maintenance. This means you have the much larger price tag of replacing a full system prior to its expected lifespan has been reached, when it’s much more affordable to perform simple upkeep a couple times a year, keeping it running strong for years to come. Refrigerant leaks can occur due to poor installation, factory defects, or corrosion of the metal caused by formic acid. This has created a misconception that an AC unit’s freon has to be charged every spring as it slowly depletes through use. The reality is actually small holes have developed, allowing the gas-liquid to seep out. Freon is a toxic substance, which means it’s highly poisonous and can result in death if inhaled. Freon leaks are also unsafe for the environment, as they deplete the ozone. A trained HVAC technician will be able to diagnose a freon leak through tiny bubbles that appear in the evaporator coils, and then repair it pretty quickly, keeping your home and family safe. Have you ever turned on your air conditioner on that first hot day of the year, only to have a puff of dust and hot air blown right in your face? Over months of disuse through the winter, dust and debris gather inside the air conditioner, covering the components within. All of that is then expelled when the system is turned on, dropping the overall air quality of your home. When you have an HVAC professional perform routine maintenance, they will clean out the dirt and debris that has accumulated. It’s also recommended that filters are replaced regularly to continue keeping it clean moving forward. Replacing your clogged or dirty filter with a new, clean one can lower the energy consumption of your AC unit by five to 15 percent. Keeping the system running properly also has the benefit of helping you avoid costly repairs in the future that can result from avoiding maintenance. When an HVAC professional is performing their routine maintenance, they are able to inspect the system for any damaged or worn parts so they can be repaired or replaced before they cause major damage to the rest of the system. For instance, heavy use of the AC unit can cause dirt and film to accrue on the coils of the unit, which then results in the compressor having to work much harder to compress the refrigerant. Keeping the coils clean helps the compressor do its job properly and helps you avoid the high costs of replacing an overworked compressor. There are many more benefits that come from routine maintenance, but we hope this has shown how a little proactivity goes a very long way. And if you’re looking to improve your energy efficiency, return your home to the level of comfort you hope for, or you just want to make sure your new air conditioner works well for years to come, give Tippetts Mechanical a call today! We know how hot it gets here, and we want to help you and your family stay cool and comfortable.